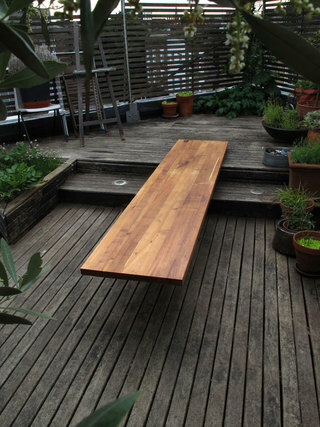 This outside table for a roof terrace in London is made of solid yellow locust. 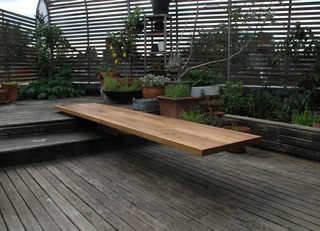 Taking advantage of the variation in floor level, the table allows for sitting and dining. 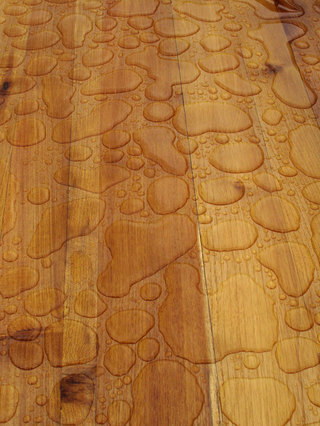 Finished with multiple layers of wax oil.